I would like you to know that the guide you are about to read describes the methods that have been developed by our team and that we were using at the very initial stage of our sales journey. During the search for an effective model of client acquisition, we managed to find a few interesting ways of attracting new customers. Maybe one of them will be helpful for you. I don’t think these are the only right methods. If you find even one of them useful – I will be more than happy. If not, you don’t have to use them. Anyway, please leave a comment and share! Before we start, let’s briefly describe a few terms. People interpret them in different ways, so let me clarify them so that we understand each other. Outbound Sales – a sales process that focuses on such activities as cold calling, cold mailing, telemarketing etc. Prospect – a potential customer that could be interested in your product. You need to know his characteristics: who he is, what he does and how to reach him. This is the contact person whom we will be looking for. 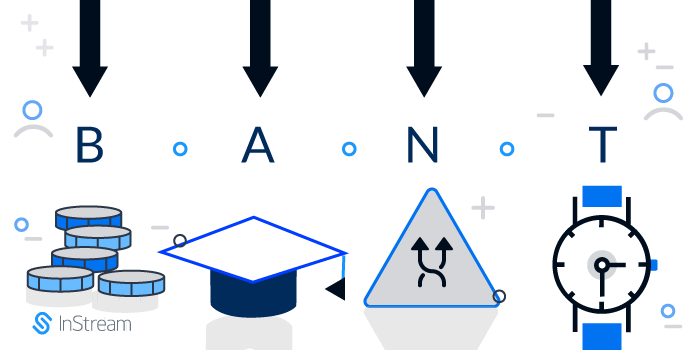 Lead – a person whose verified contact data we possess, that potentially showed any interest in our product. 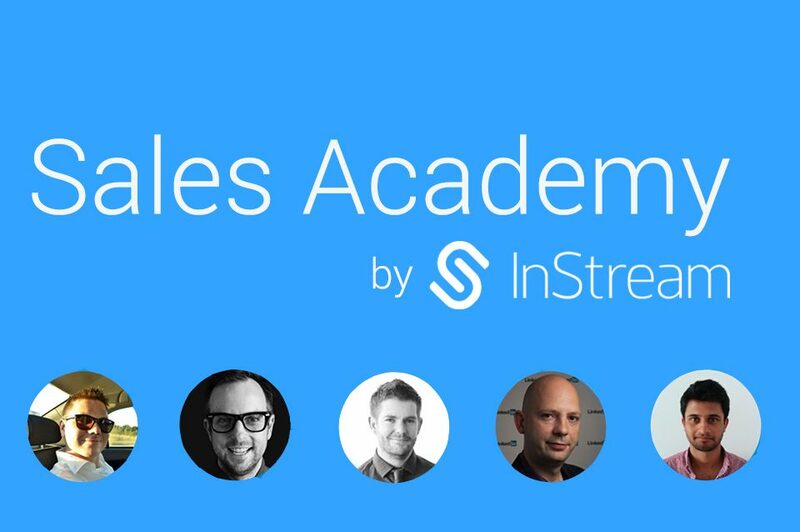 I hope that you understand how the entire Outbound Sales Process works – if not, in just one week’s time you will find on our blog an article, in which each stage of Outbound Sales Process at the example of InStream will be described step-by-step. Anyway, one of the methods of potential client acquisition is so-called Cold Mailing. In short, the whole process is about establishing relationships with potential customers, that show initial interest in your product. No calling, no database buying and paying for telemarketing. You generate a customer base by yourself, then you contact the customers and build relationships with those who are worth your time and attention. For us a prospect means a detailed description of a potential customer. Each time we launched new sales campaign with a new target audience, we gathered with our team to conduct an in-depth analysis of our potential customer. Today we know who he/she is, but at the beginning, we were testing a lot and were looking for a perfect candidate. What do you need to know about a client? • Country– in which country are you planning to operate? • Industry – to what industry is your product dedicated? • Company size– is that a small local company or an international corporation? • Who is a decision maker in that company as for your product? A decision maker is your prospect and this is the person we will be reaching out to! [Soon I am going to prepare an article on how to prepare the detailed analysis of a potential customer. It is especially helpful in constructing ‘language of benefits’ that you should be using when addressing a client]. Having defined a potential customer what needs to be done now is preparing a database. The easiest way to do that is – in Excel. You will find an example of such a file below. http://bit.ly/1ULKEJS – Sample Excel Worksheet. The database in Excel will be useful for gathering prospects and exporting them to an application for Cold Mailing. Ok, it’s time to find our prospects. As you have probably noticed we need specific data of that person. Below, I will show you a few different ways of how to gather this data. Some of them work faster, others work slower, some are 100% free of charge while others entail additional costs. What is the easiest way to find him/her? Of course – LinkedIn! Next, go to the profile of a given company to find our decision-maker. To this end, on the right-hand side click ‘See all’. Find the person that matches the characteristics that you have entered. In our case, it is obviously CEO of this company. Now, what we need to do is to get this person’s current email address. Many people put their email addresses on their LinkedIn profiles. We already have the name and the last name, now we need to find the company domain. Many companies put their contact details on their LinkedIn Company Page, so it makes finding the domain easy. If there is no e-mail address provided, then we need to go to the company’s website where companies usually put their e-mail addresses – to the office, sales department or technical support. What should be of our interest is obviously such an email address as office@company.pl – this is the domain. Suppose that we already have: Name, Last name and Company domain. 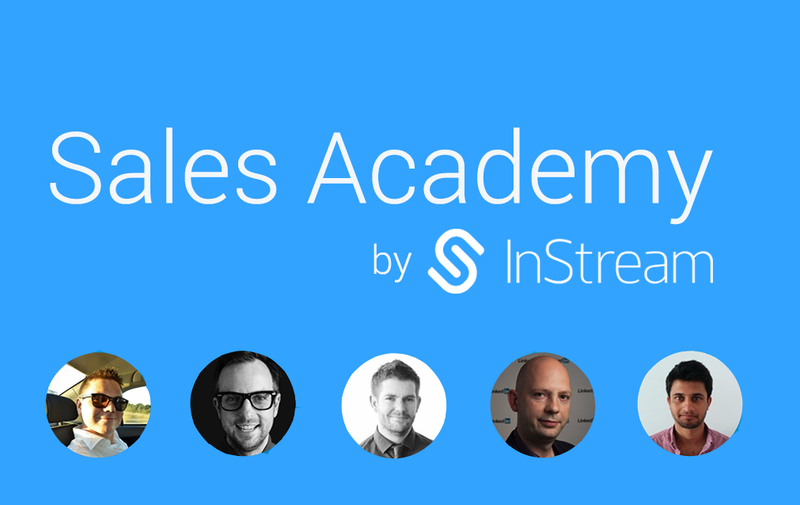 To show you an example, I will provide my personal information: Filip, Duszczak, @instream.io. Our team has created a special Prospect Generator, which will help you find contact details of a potential customer! It’s enough to enter: Name, Last name, Company domain and our generator will prepare 34 most probable e-mail addresses. One of these email addresses is correct for sure! Copy all the addresses by clicking ‘Copy to clipboard’. To find out which e-mail address is correct, we will need Gmail account and free Gmail plugin – Rapportive. Create a free Gmail account and install Rapportive. The plugin automatically matches a given e-mail address with its existing social media accounts. Thanks to this function, Rapportive will help us find the correct e-mail address of our prospect. Now, copy all 34 addresses, go to Gmail and open the window of sending messages. Next, paste all 34 addresses as a sender. By moving the mouse coursor between all addresses – one after the other, you will find the correct e-mail address. Ready! You have 100% sure email address of your potential customer! When you master the entire process, this will only take you a few minutes. In this way, you will find email addresses of a huge number of potential customers! You can paste gathered data to Excel file and generate more prospect data until you reach its sufficient number. Yes, but what when our prospect does not have an account on LinkedIn or his/her account is not synchronized with his/her email account? The second method is also applicable in case of our first prospect from LinkedIn. It is an alternative to a situation when our prospect didn’t add his business email address to his social media accounts – then Rapportive fails. But I will show you another example now, so you will have an overview of a few scenarios that are possible. It often happens that we use other sources of data than LinkedIn. There are some free company databases such as for instance Panoramafirm.pl, inventory of manufacturers, or websites on which brands advertise etc. Everyone is able to very quickly find in Google an inventory of such companies in a given region, country etc. Trade portals may prove helpful, too. But I’ll leave this task to you! • decision-maker– in small and medium-sized companies it is very common to put information about the founder of the company and its main managers in ‘About Us’. It is really a great source of data! Again, I have all the necessary information: Name, Last name, Company domain. Ok, but what if there is no information on the company’s website about its founders or persons in charge? Ok, I assume you managed to gather three required pieces of information: Name, Last name, Company domain. Now, it’s enough to go to the website of Findanyemail application. This application works the same as our generator, the only difference is that it gives the correct email address straightaway. It is enough to enter the required information (as in case of our generator). What’s more, the application is available for free! 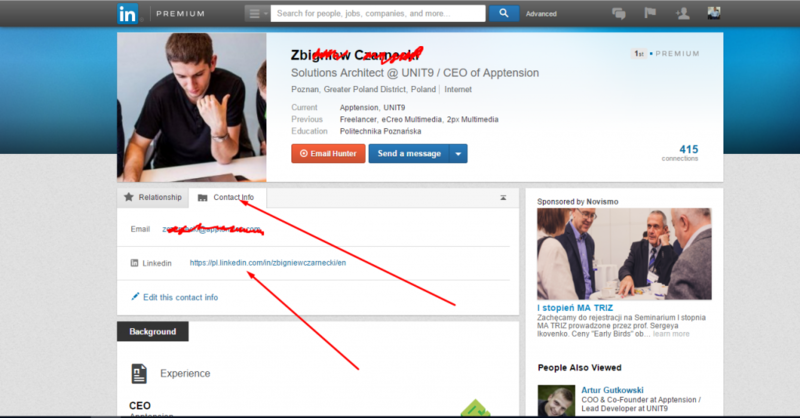 – One minute and the application will find for us our prospect’s email address! Unfortunately, as it is visible in the above picture, the application has certain limitations, it is possible to make just 5 searches per day. So, we will use now Chrome plugin – Hola. Hola – lets us change our IP address at any moment. So, if you exceed 5 searches per day, change your IP address and then refresh your browser! I’ve already shown you two methods for generating e-mail addresses of your potential customers. You are probably wondering whether we are still generating prospects in this way? Of course not. Today we use paid tools. We have been using a few of those, at the moment, we are still testing some others. Anyway, there are a few other ways that we know and want to share. Email Hunter costs only 50$ for 2000 inquiries + 2 users. Taking into consideration the prices of companies that specialise in selling data – this price is really attractive. And still we decide who exactly our prospect is. 1. 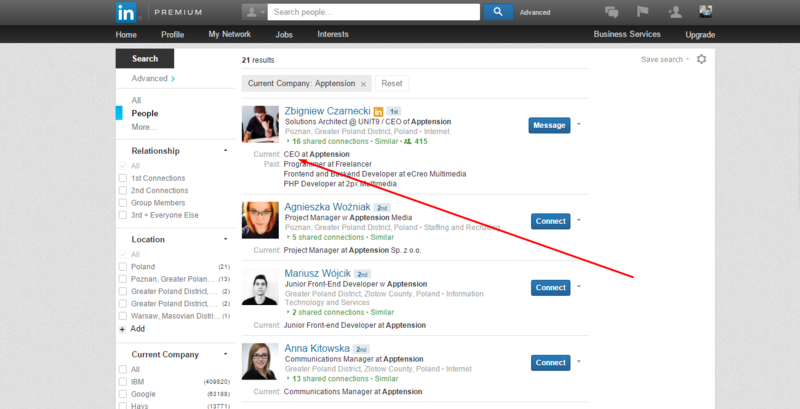 Linkedin – for each profile it automatically finds an email address. I have to point out here that this application has limited possibilities and I would say it has 50-60% efficiency. Sometimes, however, if it doesn’t find an email address of a given prospect, it will find a company domain or other employee’s email, wich, in turn, will let you guess the e-mail address you have been looking for. 2. While visiting a website, the application browses through this website in the search of email addresses. To sum up, for 50$, it is possible to generate a required number of prospects, so that you can every day conduct Outbound Sales processes. There are also a few other ways that we’ve tested. These are much more expensive but also much more efficient. Datanyze – 700 $ for 1000 prospects. Efficiency on LinkedIn and websites – 90%. When it comes to generating prospects, it is best when you test it yourself. When it comes to generating prospects, it is best when you test it yourself. In our company each Outbound Sales Rep generates prospects and converts them into Leads and later into Opportunities. On average each our employee generates 75-100 prospects per day. Every day we add new prospects to our Excel database and then we verify them and convert. In practice, it works this way: when we have a sufficient number of prospects, we copy them to a new Excel file, we save it as a CSV file and import it to the application Woodpecker.co, which helps us establish contact with potential customers. Step 2 – Lead Generation – no Cold Calling! Every day when you generate a sufficient number of prospects, your task at the end of the day will be to launch a Cold Mail campaign aimed at generating as many leads as possible. This way replaces the method of Cold Calling which is mainly about calling different companies and trying to reach out to a person in charge. Luckily you know who a decision-maker is and what’s more – you have his/her email address! The best Cold Mailing tool I’ve come across so far is the application Woodpecker.co. The application costs 40$ per user and allows automatic cold email sending to your prospects. Note – this isn’t mass mailing! Woodpecker.co enables you to send very personalised e-mails. Your aim is to prepare a campaign, within which at least 3 emails will be sent. Compose the first email which will be sent to your prospects. The application Woodpecker.co will send it via your mailbox. Note. Send max 150 emails per day from one mailbox. Otherwise, your messages may be qualified as SPAM. You need to take into account the fact that soon you will be sending not only the openings but also follow-ups, so these will be counted together. And add to this everyday communication. 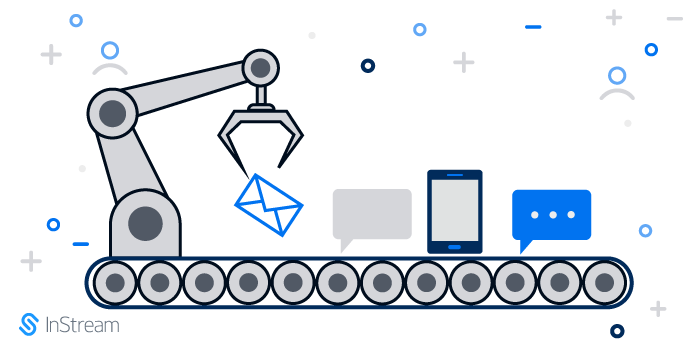 What’s more, if you send more than 150 new emails per day after some time you can have trouble with lead management and converting leads into opportunities. Now, compose so-called follow-up. This is the second email, which will be sent to all the prospects that haven’t replied to your first e-mail. Don’t worry, you don’t need to verify who has responded and who hasn’t – Woodpecker.co will do it for you. The only thing you need to worry about is the quality of your e-mail – whether it accurately reflects on what you have to offer. Make sure that all three e-mails are sent at appropriate intervals and in a timely manner! In this article, I won’t describe hot to write e-mails. Each of us has their own means. However, I recommend you to look for an e-book written by the team from http://growbots.com/. It is really great! In our company each reply within this campaign is verified by Outbound Sales Rep. Thanks to this method we completely skip the process of calling clients, talking to their secretaries and their voice mails etc. What’s more, our conversation is not imposed, an addressee expects our call and we can focus on our potential Leads. 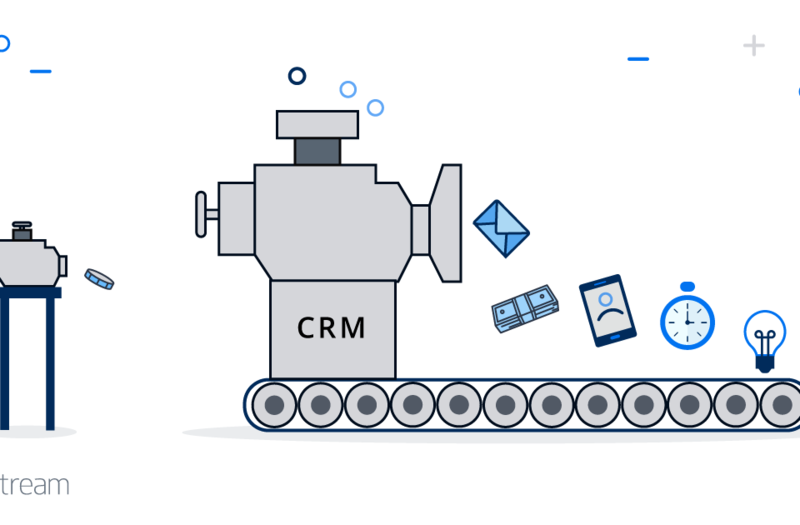 Each Lead that we are processing further is entered to our CRM system – InStream. With our tool, we can effectively manage all our processes. The system monitors our communication with customers, suggests actions that we should take up, speeds up our work and one more thing – it is intelligent! Thanks to the platform our team is more effective. I will describe the conversion of Leads into Opportunities in my next guide. I will thoroughly describe good and bad practices. I hope that this guide will help you in acquiring your first customers. If you want to get informed about new articles directly on your e-mail, subscribe to our newsletter! If you find this article helpful in any way – please share and send it to your friends! CEO at InStream. Sales Advisor. Good article, thanks for sharing your knowledge! Very useful tips. Thanks for this Filip – very useful stuff. 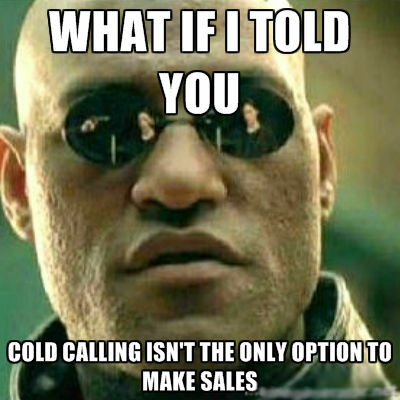 I hate people cold calling me (usually at tea time) so vowed I would never do it. My goal is not ‘success at any cost’, my aim is to find fulfillment and satisfaction through the work I do. Relationship is key for me – I build positive relationships with people and if I can do something to support them in their developmental journey (personally or professionally) then I will. I’m interested in drawing on your wisdom to help me to do that better. Rapportive definitely comes very handy with sending email pitches. I was wondering, what is your take with sending emails in casual tone? like using emoji? 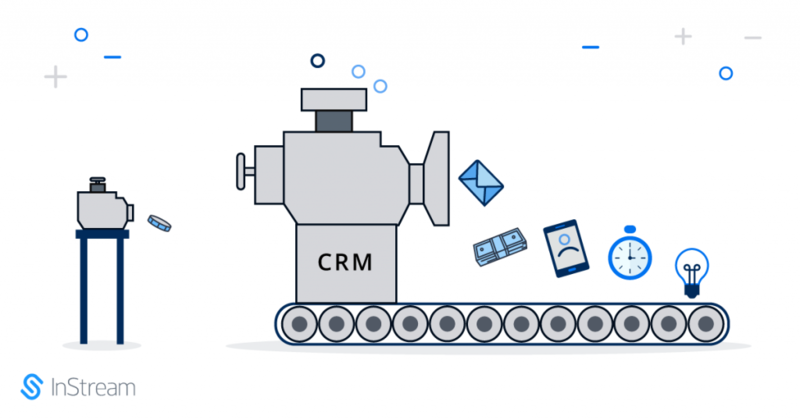 Nice But Lead Generation Must Be Added and Also some tools For the same.I have used few similar lead generation tool like AeroLeads, RainClutch, and Rapportive these helped me a lot in my business development campaign.